They’re sweet, and they keep the ice cream soft. If you’ve had homemade ice cream with the consistency of concrete, it’s because the level of solids—especially sugars—was too low. Some bloggers and cookbook authors tell you to soften the ice cream by adding alcohol. This works, but you can do better. While alcohol depresses the freezing point, it does so at the expense of smoothness. By increasing the unfrozen portion of water in the ice cream, while doing nothing to help control that water, it will encourage ice crystals to grow larger. You’ll end up with a softer but grainier texture. The quick fix would be to add more sugar, but most ice creams are too sweet already. A typical home recipe is 17% or more table sugar by weight: kid stuff. You cannot taste any subtlety through cloying sweetness—you can’t taste the dairy, and you can’t taste any of the more delicate, aromatic flavors we’re going to work so hard to put in there. It’s not just home recipes. Haagen Dazs is too sweet. Ben and Jerry’s is too sweet. Talenti is too sweet. Cold Stone is too sweet. Every small town “homemade” ice cream shop I’ve ever wandered into: too fricking sweet. I once managed an ice cream shop in Colorado, making ice cream that the owners and I were proud of. It was too goddam sweet, of course, but I had no reasonable frame of reference, until after I’d quit and taken a trip to Paris, where I was lucky enough to be invited to dinner at Taillevent—a restaurant which at the time had three Michelin stars and which had once been considered the finest in the city. After uncountable savory courses, we were put in the hands of pastry chef Gilles Bajolle, who would soon become the first chef that I’d shamelessly steal or reverse-engineer recipes from. He was most famous for his marquise au chocolat with pistachio crème anglaise (which indeed I stole and worked on for many years) but the dish that opened up the heavens for me was the single unadorned quenelle of thyme ice cream. There’s nothing surprising today about an herb flavored ice cream. But back in the 20th Century, for someone who’d been making flavors like “rocky mountain road,” an herb flavor besides mint was a sucker-punch to the imagination. And the flavor itself: let’s just say that I took a bite and sat there, very quietly, for a long time. The sensations kept developing, unfolding, surprising, telling stories. It was obvious that this was the first truly good ice cream I’d ever had. Only later did I realize that one of its secrets would be easy to duplicate: make the ice cream less sweet. Let the herbs and the dairy do what they do. Conventional ice cream is too sweet, but reducing the sugar content makes it too hard at serving temperatures. Michael Laiskonis, former executive pastry chef at Le Bernardin and current Creative Director at the Institute of Culinary Education, taught me how to think about using sugars. The sugars we care most about are sucrose, dextrose, and fructose (or invert syrup). Sucrose is table sugar. Since it’s the most familiar, and has the flavor we most expect, we use it as our foundation. It also provides a frame of reference for understanding the other sugars. Dextrose is about 3/4 as sweet as sucrose, but has nearly double the effect on freezing point suppression. Simply by decreasing sucrose and increasing dextrose, you can lower the sweetness while simultaneously softening the texture. Magic! 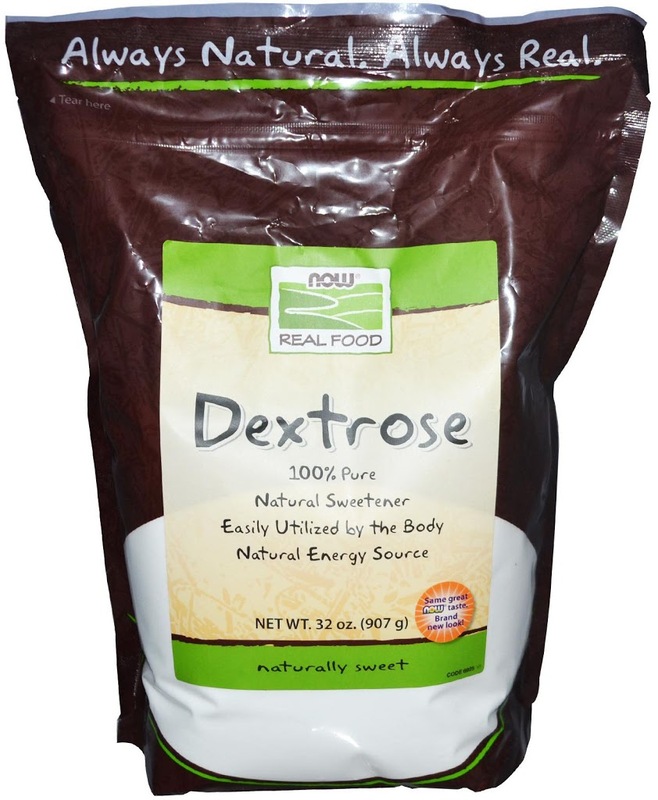 Dextrose is also hygroscopic, meaning that it holds onto water, reducing the formation of both ice crystals and sugar crystals. It’s effectively a stabilizer, although it’s much less powerful than dedicated stabilizers. Invert syrup is a liquid sugar. It’s a heavy syrup that’s sweeter than sucrose, and offers stronger freezing point suppression. 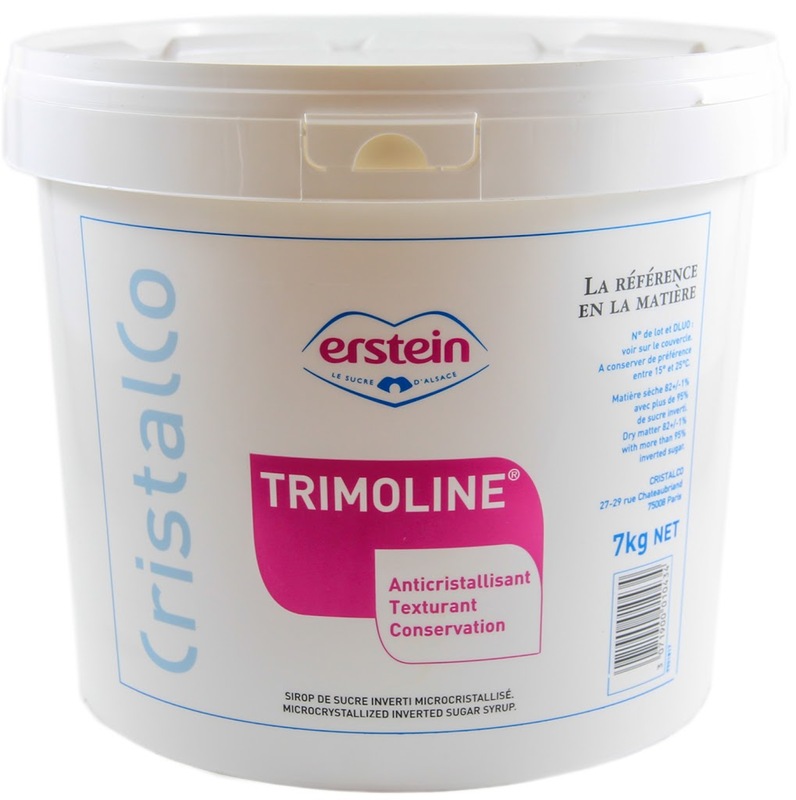 It’s in the pantry of every pastry chef, thanks to its powerful hygroscopic qualities. As with dextrose, foods made with invert syrup stay moist longer and are resistant to crystalization. In concert with dextrose and sucrose this ingredient lets you balance sweetness and freezing point independently, all the while improving the smoothness of the ice cream. Magic! 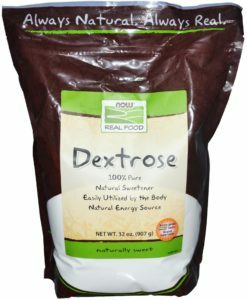 Dextrose invert syrup are especially helpful with flavors that require adding non-dairy fats, like cocoa butter (chocolate) and nut oils (nut butters). These fats tend to freeze harder milk fat, and give ice cream a dry, stiff, crumbly texture. Increasing the proportion of invert syrup can bring the softness and smoothness back. Remember that invert syrup is only about 80% sugar solids by weight when you calculate the solids in your recipe (the rest is water). See notes on invert syrup below in the appendix. Fructose is the monosaccharide, which, along with glucose (dextrose) makes up both table sugar and invert syrup. It has the same high freezing point suppression of dextrose, but is much sweeter—about 25% sweeter than table sugar, 80% sweeter than dextrose. We could use fructose, like invert syrup, as one of the controls of relative sweetness and freezing point. Fructose is a more powerful ingredient than invert syrup. It offers more control (because its sweetness is in such high contrast relative to dextrose), it contributes no water, and it’s easier to handle (it’s powder, not goop). Howerver, it’s significantly more expensive than invert syrup, and has never been adopted as a staple among pastry chefs. So it’s a non-standard ingredient. I suggest you get you get some. A little goes a long way. If you’d like to try substituting dry sugars for invert syrup, just leave out the invert syrup, and replace with dextrose and fructose. Each of these sugars should be measured to 40% the weight of the invert syrup. So if the recipe called for 30g invert syrup, replace it with 12g each dextrose and fructose. This is in addition to any dextrose that’s already in the recipe. Mix in with all the other dry ingredients. My starting point is 13% sugar by weight (not counting the lactose in the milk). Does the ice cream need to be softer? Reduce the sucrose and increase the other sugars. Does it need to be less sweet? Increase the ratio of dextrose to invert syrup. If that’s not enough, Reduce the sucrose and increase dextrose by 0.75 times the change in sucrose. Are there ingredients that add fats which could harden the ice cream—like chocolates or nut butters? If so add more invert syrup, and subtract an equal amount of sucrose. (My chocolate ice cream’s sugar blend is over 40% invert syrup, with no sucrose beyond what’s in the bittersweet chocolate). Are you adding flavor ingredients that have their own sugars? Like fruit, chocolate, gianduja, or liqueur? Calculate (or estimate) the amount of added sugar and reduce the sucrose by the same amount. With fruit, look up the actual composition of the fruit (it usually contains sucrose, fructose, glucose, and other sugars). You can compensate by reducing the glucose as well. We’ll discuss this in detail in a future post on fruit flavors. Finally, are there flavoring ingredients that will directly effect the freezing point—namely alcohol? If there’s a lot, the ice cream may need all the help it can get to harden enough. Eliminate the glucose. Reduce the sucrose, too, if there’s any room to lower the sweetness. Add a bit of nonfat dry milk to get th solids up, and increase the stabilizers. We’ll discuss this in detail in a future post on booze flavors. Maltodexrin adds solids and bulk with minimal effect on sweetness or freezing point. It’s a bit of an anti-sugar in this sense. It’s useful in flavors which by their nature are low on solids, and so need something to combat their innate wateriness—typically sorbets like lemon and watermelon. These flavors are built from fruit juices that are mostly water. We’ll address sorbets generally in another post. As a bulking ingredient, I usually prefer milk solids to maltodextrin, since the latter does all the bad things to your body that sugar does, without the benefit of tasting like anything. But milk solids are generally not an option in sorbets, which everyone expects to be dairy-free. Honey is a useful sugar in some ice cream flavors. It behaves mostly like invert syrup (because it IS mostly invert syrup—around 75% by weight), and tastes rather strongly … of honey. Because it adds about 20% water to the recipe, and increases body, it’s generally not a good idea to substitute honey for all the sucrose. But up to 50% works fine. It can be interesting to experiment with some of the more exotic and intense honey varieties, like buckwheat, heather, and chestnut. You’ll probably want to use these honeys in moderation. Mild honeys like clover and alfalfa are most traditional. There are other varieties of glucose, including atomized glucose powder, corn syrups (typically around 1/3 glucose by weight) and various glucose syrups, identified by their DE number for dextrose equivalence. The DE number technically refers to the percentage of reducing sugars—in this case meaning either glucose or fructose. The higher the DE number of a glucose syrup, the more glucose it likely contains, and the greater the freezing point suppression. Atomized glucose is just spray-dried glucose syrup. It contains more water than anhydrous dextrose. Here’s all you need to know: Don’t use any of this stuff unless it’s all you can get your hands on. Pure Dextrose powder and invert syrup are more useful, and make it a lot easier to know what you’re getting. Caramel is useful as a flavor ingredient. A little goes a long way, which is convenient—because it’s hard to know how caramel will effect the ice cream’s texture and freezing point. Caramelizing sugar is a gradual process by which some portion of the sucrose molecules break down into smaller molecules, and combine into larger, more complex, more flavorful ones. I like to use a small quantity of caramel, but to cook it to a fairly dark and flavorful degree. This way it will behave less like sugar in the recipe, and will have maximum effect on flavor. You might also experiment with using caramels browned to different degrees—like a medium caramel, for more traditional toasted flavors, and a dark caramel, for the more complex and bitter burnt sugar flavors. Molasses is unrefined syrup centrifuged off from sugar cane syrup after it crystalizes. It contains all kinds of stuff, including water, so it’s best to use in small quantities just for flavor. The primary sugar component is sucrose. Maple syrup is also useful as a flavoring. Like molasses, its primary sugar is sucrose (typically 52%), and it contains water (typically 45%) plus around 3% invert syrup.. It’s not easy to know precisely how much water is in there, since syrup is boiled down to whatever level the maker desires. Fortunately, a little goes a long way. Grade B is the most flavorful. The grade signifies darkness and not quality; annoyingly, many grocers don’t know their trade and stock only the inferior Grade A. It’s worth it to find a reliable local source of the good stuff. Maple syrup is so expensive these days, you should get all the flavor you can from every ounce. It’s not easy, but it’s possible, to make decent sugar-free ice creams. The trick is finding ingredients that taste like sugar, adequately suppress the freezing point, and won’t give you a bellyache. By these standards, the perfect ingredients do not exist—although some of the sugar alcohols, like erythriol, come pretty close. We’ll discuss these in a later post (although I’m no expert on the topic). In the next post we’ll explore the dark arts of stabilizers. Mix ingredients in a saucepan and bring to a boil. Once the mixture boils wash away any sugar crystals stuck to the side of the pan with pastry brush dipped in water. Water from the brush won’t affect the outcome. On medium heat without stirring boil the mixture to 235°F / 113°C. Remove from heat and cover the pan. Let cool at room temperature until it’s reasonably safe to handle. transfer to plastic container. Store in a refrigerator. Invert sugar will last at least a few months. You can melt and re-cook it if starts to crystalize. Toss it if you see mold. Most professional kitchens just buy the stuff. Sucrose is a disaccharide, meaning a sugar molecule made up of two smaller monosaccharides: glucose and fructose. When we make invert syrup, we split these two monosaccharides apart, with the addition of water—a reaction called hydrolysis. Hydrolysis can occur with just the addition of water and heat, but an acid catalyst improves the efficiency of the reaction. Typically, we can split (invert) about 85% of the sucrose. Manufacturers may be able to invert more of the sugar, by using other chemical or enzymatic catalysts. When you cook your own, you control the final water content with the cooking temperature. Cooked to 113°C–114°C the final syrup will contain a bit under 20% water. This is dry enough to work in ice cream without adding too much water, and gives a long life in the fridge. But it’s not unreasonably gluey. The stuff is great to have around. In addition to magic it works on ice cream, substituting about 10% invert syrup for sucrose in most desserts will improve moistness and add shelf life. This may be the most useless piece of knowledge in the entire blog series. But you asked. C12H22O11 (sucrose, Specific rotation = +66.5°) + H2O (water, no rotation) → C6H12O6 (glucose, Specific rotation = +52.7°) + C6H12O6 (fructose, Specific rotation = −92°) net: +66.5° converts to −19.65° (half of the sum of the specific rotation of fructose and glucose). This inversion of polarized light has no known application in the kitchen. Not even Nathan Myhrvold has suggested that we run out and buy a polarimeter. Just try to remember that inverting sugar does not mean turning the bag upside-down. I wanted to create a recipe that gets all its flavor from the sweeteners, and that explores the possible depth and range of those flavors. It uses caramel, molasses (from the dark muscovado sugar), maple syrup, and chestnut honey. This ice cream has a lot of layers. Background hints of vanilla and salt take it even farther. It’s not kid stuff—it isn’t even especially sweet. Muscovado sugar is a semi-refined brown sugar that’s heavy on molasses and has a deep, complex flavor. Chestnut honey is dark, bitter, and challenging. For the maple syrup, look for one marked “Grade B”, which is darker and more flavorful than grade A. The grade has nothing to do with quality. I’ve written this for cooking in an immersion circulator, but it adapts fine to the stovetop or other heating methods. -thoroughly stir together muscovado sugar, dry milk, gums, and salt. -heat 1st portion of water and granulated sugar in a saucepan. Cook to medium-dark caramel. -turn heat low. Deglaze with second portion of water. Water will boil off and caramel will clump. -when water is mostly gone, add milk and stir to disolve caramel. Stir in the honey and maple syrup. -pour milk mixture into blender. -add yolks, cream and vanilla extract. -briefly blend again on high speed. -remove bag from water bath. open and pour hot mix into clean blender container (or a square container if using a homogenizer or stick blender). remove weight (with tongs). use bag to squeegie off any mix. temporarily seal bag and keep handy. -refrigerate at least 4 hours, below 38°F / 3°C to age mix / pre-crystalize fat. -harden in a blast freezer for several hours, or overnight in a cold standard freezer (should be set to -5°F / -20°C or lower). Ice cream will have to warm up several degrees before serving. 20 to 30 minutes in the fridge works well. Ideal serving temperature is 6 to 10° F / -14 to -12°C. 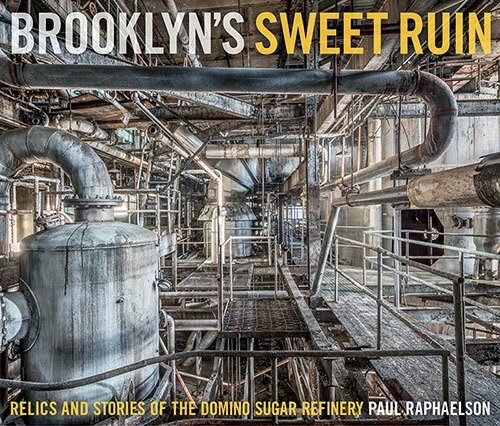 Keep an eye out for my photography book on the Brooklyn Domino Sugar Refinery. Thanks for looking further into this. Sorry to take so long with a response. Your question has occurred to me before, and I've never been able to find an answer. There's no shortage of sources that go on endlessly about the benefits of invert syrup. None that I've found say why (or if) it's any different from a glucose and sucrose dissolved together. First of all, thank you for sharing your knowledge on ice cream! Your articles are a pleasure to read and have taught me a lot. Are the stabilizing & textural benefits of invert syrup attributable to its monosaccharide constituents, or is there some other underlying cause? I think Lebowitz is just trying to keep things simple for people. Alcohol works. But unlike sugars, it doesn't do anything to improve the ice cream's texture. By lower the freezing point without adding anything to improve body or stability, alcohol actually results in an icier ice cream, not a smoother one. Hi Jerome, thanks for writing. Dextrose and glucose are interchangeable names for the same sugar. The only likely difference in practice is that products labelled Dextrose are (usually) the anhydrous or monohydrated powdered forms of the sugar. These versions contain little or no water. 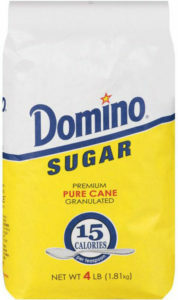 Sugar labelled Glucose, when sold in baking supply stores, is often either a syrup or "atomised glucose"—which is a powder made by spray-drying glucose syrup. Both of these products contain a lot more water than the Dextrose powder products. It's also possible that some products sold as Glucose are identical to Dextrose powder, but it can be hard to tell. The bakery glucose products typically add more water than we want to add to an ice cream formula, but the worse problem is that we often don't know how much. So it makes life much simpler to just use Destrose powder. Thank you for sharing all these informations. However I'm wondering about the use of glucose, which is almost always used by professionnals, here in France. In contrary, dextrose is not recommended by french ice cream makers because it might significantly limit overrun. What do you think about this ? "Quartet" recipe came out GREAT! My wife said it would probably pair with a nice stout! I asked chef Laiskonis your question. He doesn't see why it wouldn't work, and suggests trying it. The substitution isn't interesting to him, because as a pastry chef, he always has invert syrup on hand, but doesn't use fructose powder. I find the idea compelling, though—because it's easier to work with powdered ingredients than with a heavy syrup in ice cream. I haven't tried it yet, because to to set up a controlled experiment is difficult, and I don't have facilities for making identical, simultaneous batches of ice cream. I've substituted fructose for invert syrup in several batches of ice cream now, and it works fine. I don't have the means to do side-by-side blind tastings, so don't take my word as gospel. But based on casual experience, and my understanding of the science, it doesn't make a difference—except that fructose allows you to add a bit less water to the recipe. Which would be a positive difference, if noticeable at all. I find fructose easier to work with, and so will switch to it for my own use. But I'll keep posting recipes with invert syrup, since this is standard pastry kitchen ingredient. to keep things simple I don't account for the water weight of the invert syrup. The stuff is usually around 20% water, we're talking about a few grams of water at most. So with invert, honey, glucose syrup, I'm talking about the whole weight of the thing. If you want your spreadsheet to be extremely precise, you could have it parse those values internally—so it would assume, for example, that 15g invert syrup means 6g glucose, 6g fructose, and 3g water). When I'm working things out by hand, this degree of precision gets unruly, but if a spreadsheet is doing the heavy lifting, why not? It makes perfect sense that your alcohol experiment yielded an icy texture. Alcohol doesn't help control the unfrozen water, so you get softness at the expense of iciness. If you want to get really nitpicky, alcohol's will have a sweetness level that's somewhat higher than zero ... although my guess is that you can ignore this. At the alcohol and sugar levels likely to be present in ice cream it's probably imperceptible. "My starting point is 13% sugar by weight (not counting the lactose in the milk). Is the 13% inverted Syrup defined as "the weight of the contributing sugars (not including water)" or "the total weight of the inverted syrup (including water)"? In addition, in your table, defining freezing points and sweetness factors, does this already account for the water content in inverted syrup or honey or is it just considering the sugar components of the ingredients? Compliments for the very informative blog. 6% 43 BE GLUCOSE, 5% SUCROSE and 8% INVERTED SUGAR. I’d love to substitute the annoying glue 43 BE glucose for a dry sugar equivalent. Would anhydrous glucose powder be the best option? If so, what would be, let’s say, the equivalent for 1 kg of the 43 BE glucose. Many thanks for your kind attention and sharing your knowledge. I have question about Trimoline AFP. What is correct AFP number in trimoline? I learn from Italian gelato chef he told me 190 AFP..
Its there has different trimoline? I'm not familiar with the AFP scale, so I'm not completely sure what the numbers mean. The scientific way to look at freezing point depression is simply to look at the molecular mass of the ingredient. The lower the mass, the greater the freezing point depression. And the relationship is linear. Take a look at the table above. Invert syrup is listed as having a molecular mass of 204, which gives it 1.67 times the freezing point depression of sucrose (67% greater). If AFP is based on sucrose, and if sucrose is 100, then it sounds like your gelato chef friend is giving you the numbers for either glucose or fructose; an understandable assumption, since invert syrup should just be a mix of these two. But because not all the sucrose gets inverted the math works out a bit differently. Also keep in mind that any numbers given for invert syrup are estimates, because the actual water content and the actual efficiency of the hydrolysis can vary. Commercially available invert syrups will probably contain a lower percentage of residual sucrose than homemade versions, so their freezing point depression (and sweetness) may be a bit greater. yes, anhydrous glucose would be an excellent ingredient. I'm pretty sure that culinary dextrose is glucose monohydrate, which is equally good, and possibly cheaper. I like both of these much better than any glucose syrup. 1): erythritol is my go to sweetener, so that's good news. I find I tolerate it quite well, so I'll stick with it as a first choice. It's not quite as sweet as sugar though, so how will the fact that I'm adding more volume to match sugar content affect the end product from a total solids point of view? 2) understandable, I'll play around with minimum ratios. Dairy is already a big source of sugars, so if I'm going to try to make some sorbets or other non dairy options it may allow me to add back some sugar to adjust freezing points. Can you advise on which fats have the best (lowest) freezing temperatures so that I could increase the richness without dairy? 3)if I'm sticking with a dairy based ice cream, but don't want to add milk powder because of the high sugar content, is there any other option that would work well to get total solids up without adding carbs in the form of either sugars or starches? 4) thanks for your concern on this. I've honestly spent the last 6 months trying to find a concrete, evidence based argument against the keto diet, as I was very skeptical at first. Typically people argue that it's not a magic pill, and that you can't live on bacon and cheese. This is unfortunately what most people (including many that adhere to the diet) believe the diet consists of. In reality,if you're doing it correctly, you're eating a wheelbarrow full of vegetables ever day, some lean, organic protein, and a good amount of healthy fats (not a bag of pork rinds). It's definitely not a diet for everyone, as it requires planning, some minor micronutrient supplementation, and at the end of the day is still bound to the calories in, calories out equation. I just find it easier to stick within my caloric needs by eating this way, and I'm eating far more whole foods that I was before I started. 1. Some of the sugar alcohols, especially erythritol, make excellent substitutes because because they taste pretty close to sugar and have good freezing point depression. But you want to go easy, because too much can cause digestive distress (you don't metabolize these ingredients, but your gut bacteria go to town on them). 2. Low-sugar ice creams (with much of the sugar replaced by sugar alcohols) are much easier to make well than no-sugar ice creams. 3. Make sure to get the total solids up to the right levels. Nonfat dry milk is your best friend. Hey, just found this blog, and spent most of the night pouring over it. Great job! I found you because I'm on a search to better understand ice cream, specifically for the purpose of perfecting a sugar free version to fit into a ketogenic diet. There's nothing at all worthwhile to purchase commercially, nor can I find anything outside of mommy blogs and their "mason jar no churn ice cream"